Abes of Maine: Get $217 off plus Samsung UN60F7100 60 Class LED 7100 Series Smart TV plus free wall mount plus free shipping. Abes of Maine: Get 22% off Panasonic TCP55VT60 VIERA 55 Class VT60 Series Full HD Plasma TV + Free Shipping. Abes of Maine: Get $270 off Samsung PN64F8500 64 Class (64.0 Diag.) Plasma 8500 Series TV plus free wall mount plus free shipping. Abes of Maine: Get 2% off Sitewide when you pay by wire transfer, money order, or certified check. Abes of Maine: Get $150 off Canon EOS Rebel SL1 DSLR Camera with EF-S 18-55mm f/3.5-5.6 IS STM Lens plus free shipping. 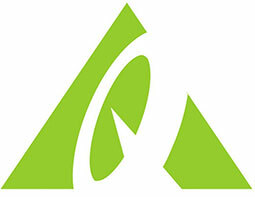 Abes of Maine: Up to 44% off all your purchases + free shipping. Some exclusions may apply. Visit site for further details. Valid for limited time. Abes of Maine: $20 off Canon 75-300mm f/ 4-5.6 III EF Zoom Lens (Was: $139.99) + Free Shipping. Abes of Maine: Get $100 off Canon PowerShot S110 Digital Camera – with 12.1 Mega Pixels & 5x Optical Zoom – Black plus free shipping. Abes of Maine: Get $15 off qualifying purchases of $400+. Abes of Maine: Take $5 Off most Orders $75+. Abes of Maine: Tap offer to copy the coupon code. Remember to paste code when you check out. Online only. 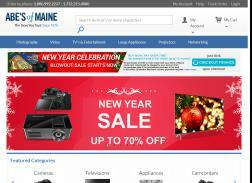 Abes of Maine: Get 22% off + Free Shipping on Panasonic TCP55VT60 VIERA 5inch Class VT60 Series Full HD Plasma TV. Abes of Maine: Save $50 instant savings on EOS Rebel T5i Touchscreen DSLR Camera with EF-S 18-135mm f/3.5-5.6 IS STM Lens. Abes of Maine: Nikon 55-300mm f/4.5-5.6G Nikkor DX VR Lens Now: $249 and Free Shipping. Abes of Maine: Get 21% off + Free Nikura Wall Mount + Free Shipping on Samsung PN51F8500 51 Class (50.7 Diag.) Plasma 8500 Series TV. Abes of Maine: Get a free Imount flat wall mount with purchase of Samsung UN85HU8550 85 inch Black UHD 4K LED 3D smart HDTV + Free shipping. Abes of Maine: $175 off Nikon D5200 Digital SLR Camera with 18-55mm and 55-200 VR Lens Black Bonus Kit (Was: $1168.69) + Free Shipping.